Six exciting shows showcase our beautiful wild world. The first series is a fast-paced adventure through South Africa’s kaleidoscope of national parks. Join the team as they explore caves, run wild rivers, abseil down mountain cliffs and investigate the world under the sea. See them have close encounters as they touch, feel, smell and experience Nature at its wildest! 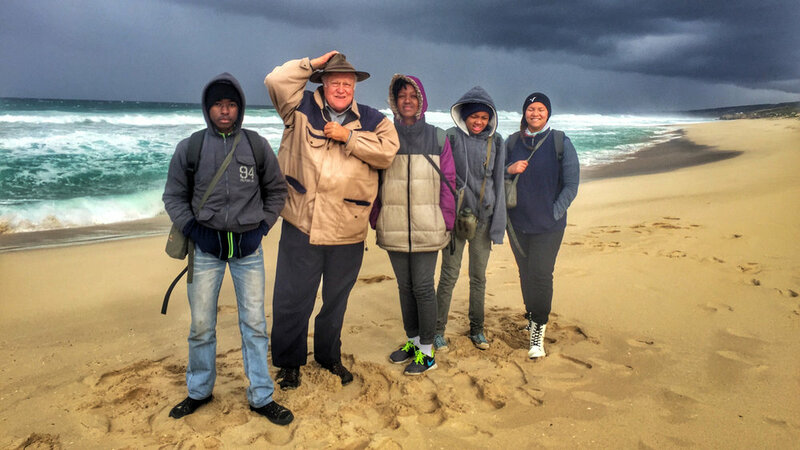 In each episode young adventurers, many from disadvantaged backgrounds, get to explore fascinating places in and around South Africa’s national parks. In each fun-packed episode, you will see places and meet people that you would never even have dreamed existed. This is a series of 26 episodes x 26 min with a brand new series under development. China is a cosmos rich in natural and cultural landscapes with both ancient and living heritage. Using a fresh semi-reality approach the primary purpose of Siyaya is to entertain. Yet the series carries a powerful message that instils respect and pride in the youngsters of today hoping to ensure a continuation of our natural world into the next generation - or soon humankind won’t have an inhabitable planet left! This message is conveyed amidst the spectacular beauty of China’s wild places, using attractive young ambassadors who will enhance the view that outsiders have of Middle Earth. The initial series will be 13 episodes x 26 min. Currently discussions are being had with possible partners on how to propel this series into reality. The series will be in English with some Mandarin, a beautiful language which is Oompie is currently learning. The United States is blessed with so many natural and cultural assets that one can spend a lifetime exploring its wonders! The Siyaya – USA series starts in the Southeast and will gradually work its way through to the Southwest, the West, the Central Mountains and the Northeast. The largest of the U.S. states east of the Mississippi River is Georgia, a state that contains many types of biomes and a rich culture. The northern part of the state is in the Blue Ridge Mountains, part of the Appalachian Mountains system. The Piedmont extends through the central part of the state from the foothills of the Blue Ridge Mountains to the Fall Line, where the rivers cascade down in elevation to the coastal plains in the eastern part of the state. Two pilot episodes filmed in 2018 will be the first in a burgeoning bouquet of Siyaya episodes scattered across the American landscape. All of humanity is ultimately connected through our oceans, where life itself has its beginnings. Join our young adventurers as they explore coastal forests and estuaries, coral reefs, swim with seals and whales, encounter sharks and discover shipwrecks in their ramble around the globe. Someone once said if there is magic it has to be in water, and this series proves the point! See our team have close encounters with amazing marine and coastal animals as they experience the coastal and marine realm in its wildest glory. This series of 13 episodes x 26 min which is currently under production, is bound to become an ongoing feature on the youth wildlife television landscape featuring oceans and coasts around the world. Africa being the treasure-trove of biodiversity that it is, the continent is the ideal focus for a Siyaya-inspired series. Thirteen of Africa’s most exciting wild nature reserves and national parks - covering all major eco-regions of Africa - present a dazzling variety of stories, landscapes, and life forms. Reconnecting youth with Nature will show them the importance of protecting these irreplaceable jewels. It is through the eyes of diverse groups of youngsters that the magic of Africa’s natural marvels is unlocked - be they small fishes that inhabit coral reefs, massive land animals that roam the wetlands, or humans’ closest relatives swinging in the treetops. Come and watch youth from local communities bond with the charismatic giants we share the mother continent with. The initial 13 episodes x 26 min will undoubtedly be expanded. The Western Cape Province of South Africa hosts some of the most exciting natural systems in the world. For example the unique Cape Floristic Kingdom - the greatest non-tropical concentration of higher plant species in the world - contains some 9000 species of plants. The region is also flanked by two major marine ecosystems, the Atlantic Ocean and the Indian Ocean, causing an arid and a wet side. The beautiful and relatively lesser known landscape of the Western Cape is also one of the most important cradles of the evolution of modern humans, with mysterious caves that provide us with a series of windows into the past. Our teams of explorers take on breathtaking challenges to get where they have to be, jumping into cauldrons of whitewater, scaling cliffs and hanging on ropes between heaven and earth. The series consists of 13 episodes x 26 minutes.